January 1st grants us the opportunity to reflect on the past year and consider the new. Each New Year’s Eve our family and those with us take some time to sing praise to God, to reflect on His faithfulness over the past 12 months, and to pray. Several this year spoke of the transitions that they had experienced in 2014. 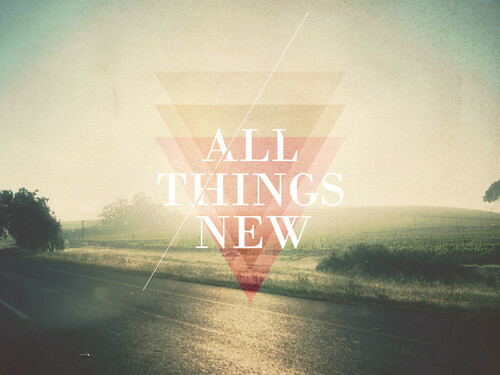 Transitions in life bring us to see new things. My wife, who is a teacher, had given several caterpillar cocoons to our pastor’s children. Her class had studied caterpillars, and the holiday arrived as many were still in their cocoons. Late in December, because several of the caterpillars in them had died and began to stink, they were about to throw out the cocoons. But on Christmas Day, a few of the cocoons cracked open and butterflies began their struggle to emerge. True change comes in the midst of the old ways of life dying. Jesus was God’s plan to change all who would believe. New life comes when we put our faith in Him as our means to be made right with God. As we start the year 2015, take some time to consider your life. Has eternal life emerged in you? Let the old ways of living and the things you have been counting on to make you right with God die, turn away from those things, and put your faith in Christ. If you do this, talk to one of the FOCUS volunteer staff about it. What else in you has the smell of death? No longer feed those things; allow them to die; talk with a trusted Christian friend or staff about killing your old ways. Read John Owens’s Of the Mortification of Sin in Believers or Kris Lundgaard’s The Enemy Within with another friend. May 2015 be a year of change for you! David Lawrence loves surfing & eating food from 'The Kebab Shop' and wearing caps. He is married to Kris and has 5 kids, 4 shoes, 3 cats, 2 cars and 1 son-in-law. You can follow him on Twitter and on Facebook.